Courtesy of The Home DepotOne of the founders used to chase down unsatisfied customers in the parking lot. 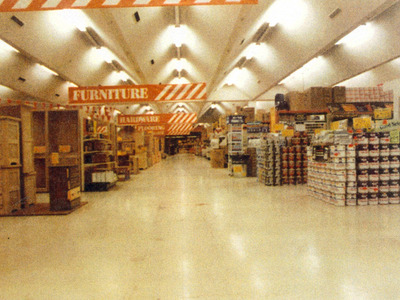 Home Depot first opened its doors in 1979. 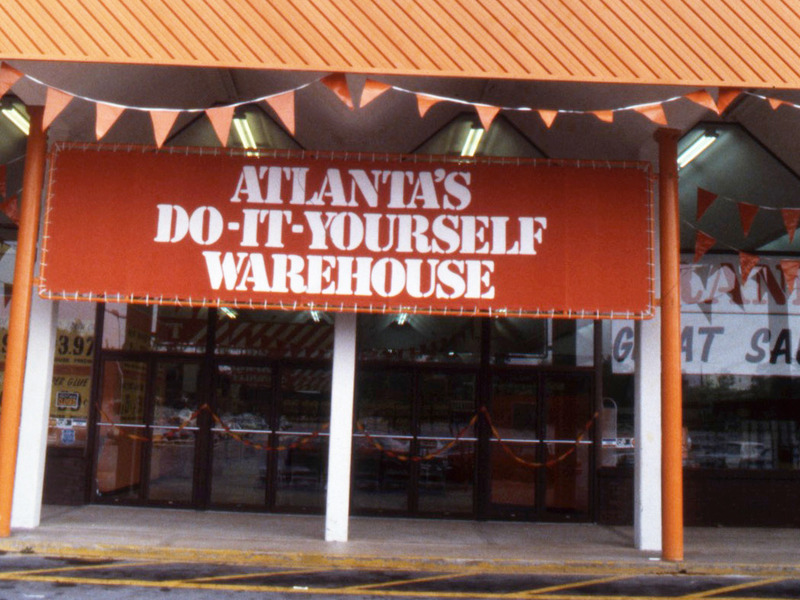 Founders Bernie Marcus and Arthur Blank launched two different stores in Atlanta. Home Depot struggled to attract customers at first, but it ended up finding its groove. 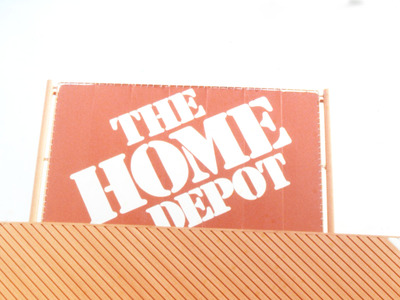 Home Depot is one of the biggest names in home improvement retail today. But the company didn’t get that way overnight. 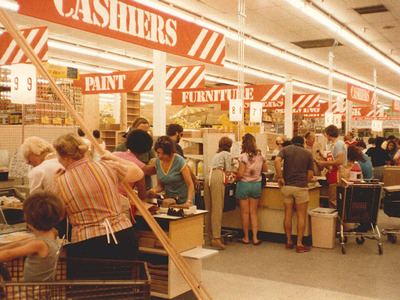 She said that when Home Depot first opened in 1979, there was “nothing else like it at the time” in the home improvement space. “At the time, if you had a big project, chances were good you’d have to go to at least two places to get everything you needed,” she said. 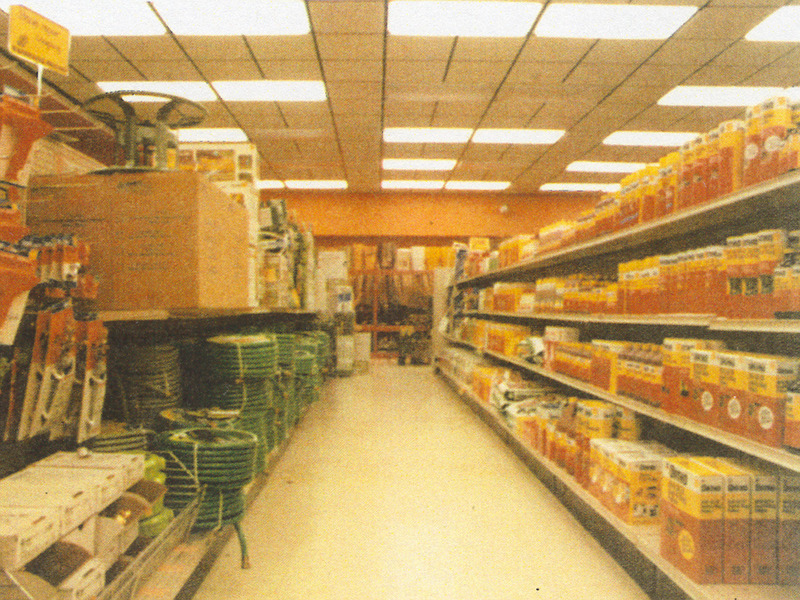 Let’s go back in time to the summer of 1979 to take a look at the early days of Home Depot. 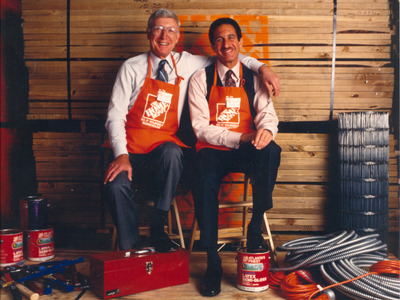 Home Depot would never have come about if its founders hadn’t been fired during a corporate bloodbath. Courtesy of The Home DepotHome Depot’s founders Bernie Marcus and Arthur Blank. “We wouldn’t be here if Bernie Marcus and Arthur Blank, our two founders, hadn’t been fired from a company called Handy Dan,” Wyatt said. Handy Dan was one of the first home improvement retailers in the country. And in the late ’70s, the Los Angeles-based company was in the midst of a brutal corporate struggle. Marcus managed the company as president and chairman of the board, and Blank served as the CFO. But despite their high-ranking titles, the pair weren’t independently running Handy Dan. Courtesy of The Home DepotInside one of Home Depot’s first stores. 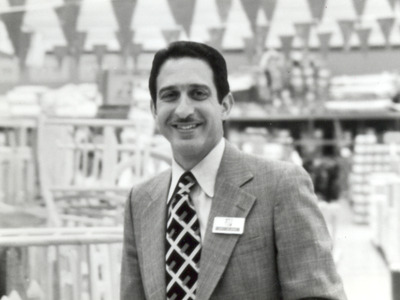 Sanford Sigiloff – who went by the nickname “Ming the Merciless” after the Flash Gordon villain – was CEO of the Daylin Corporation, which held a controlling interest in the company. 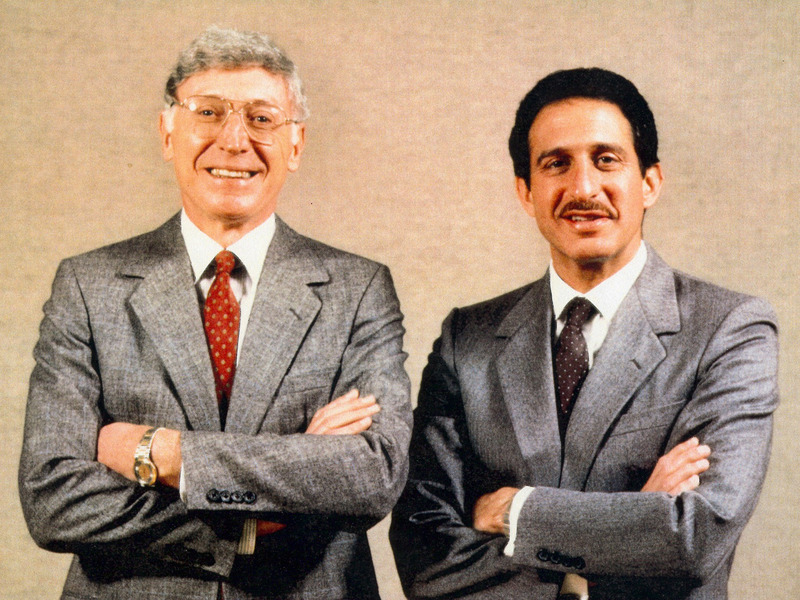 In 1978, despite the retailer’s financial success, Sigiloff fired Marcus and Blank. But Marcus had a big idea in mind. “Bernie had a vision for a kind of store that didn’t exist at the time, and that was a one-stop shop for the do-it-yourself-er,” Wyatt said. 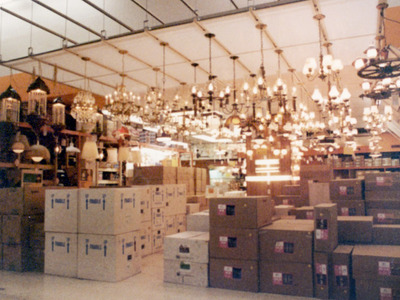 The two decided to launch a home improvement retail outfit that would be significantly bigger and cheaper than most competitors. The company avoided some disastrous branding early on. 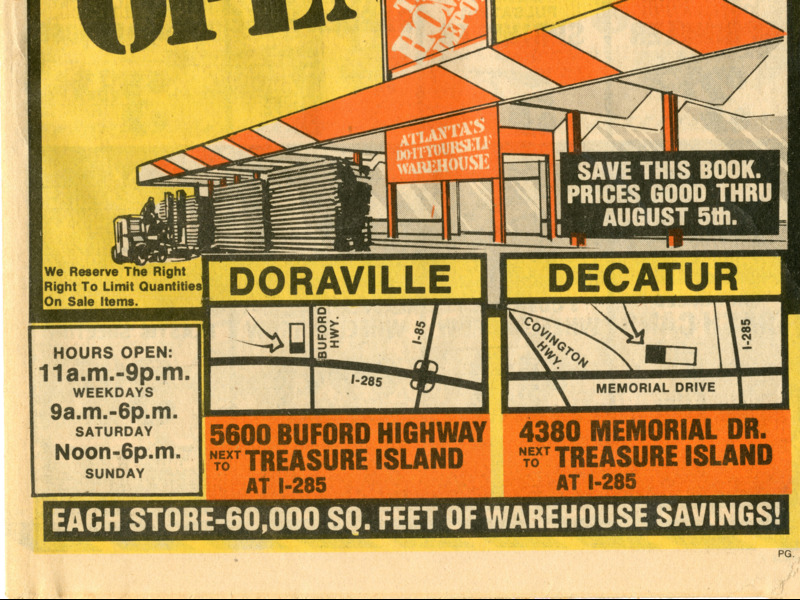 Courtesy of The Home DepotA flyer advertising for Home Depot’s first stores. Home Depot managed to avoid a branding fiasco right out of the gates, according to Wyatt. The company archivist said that she doesn’t “think we’d be chatting today if they’d gone with” one of the originally proposed company names: Bad Bernie’s Buildall. The proposed name would have come complete with a logo featuring a man in a striped prison uniform. Wyatt said that the idea fit into the marketing trend of depicting unhinged or outrageous characters selling products at low prices (think Crazy Eddie). 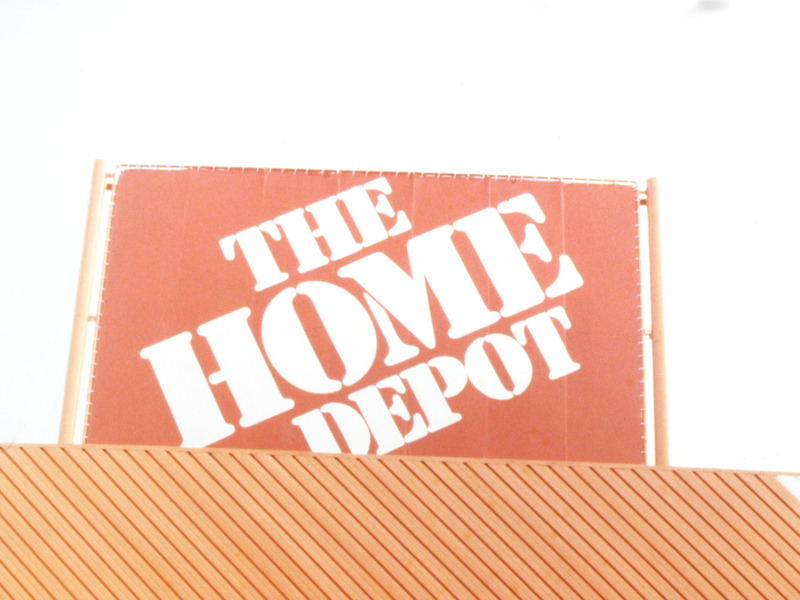 So where did Home Depot’s far more understated name come from? Wyatt said that early investor Marjorie Buckley came up with the idea. Inspiration struck when Buckley and her husband were driving around and passed a train depot that had been turned into a restaurant. Wyatt said that Marcus and Blank loved the name’s “down-to-earth, no-frills” quality, and the rest is home improvement history. It selected a vibrant signature colour. In the meantime, Wyatt said that the fledgling company began working with respected Canadian branding designer Don Watt. Wyatt said that Marcus was sceptical in the beginning, but “grew to love” the brand’s orange colour. Today, plenty of Home Depot employees say they “bleed orange” on social media. A year after deciding to found a new retailer, the founders set up shop in Atlanta. Courtesy of The Home DepotOne of Home Depot’s first stores. After considering settling in Dallas and Boston, Marcus and Blank decided to move to Atlanta. The Georgia capital offered up an airport and plenty of cheap real estate; plus, Blank had lived in an Atlanta suburb a few years before. As a result of the deal with JCPenney, Home Depot launched two initial stores. 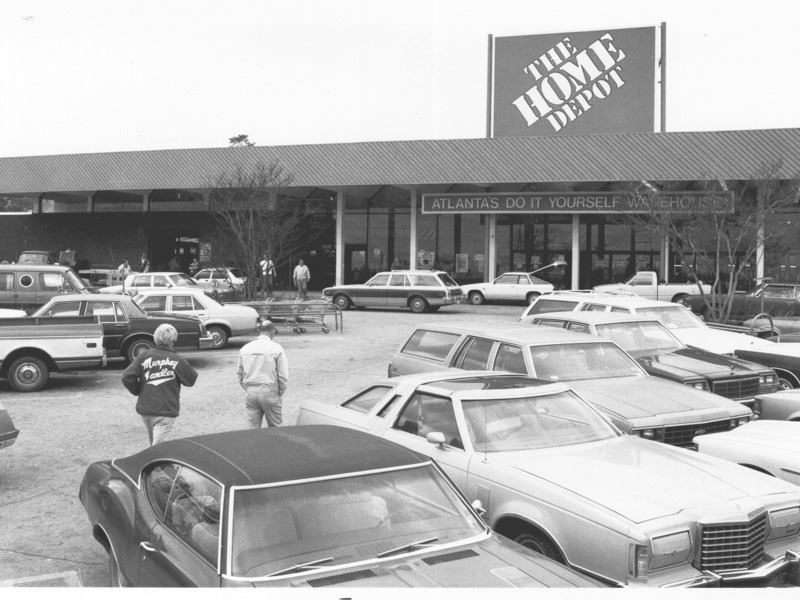 After incorporating in Delaware the year before, the twin Home Depot stores opened their doors for the first time on Memorial Drive and Buford Highway in Atlanta on June 22, 1979. 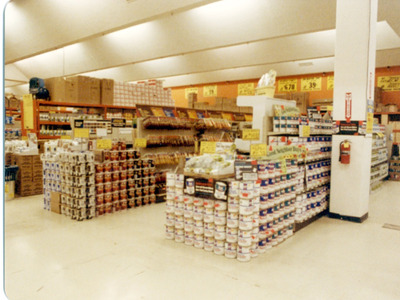 The contract with JCPenney, which required they lease several different Treasure Island stores, ensured a dual launch. 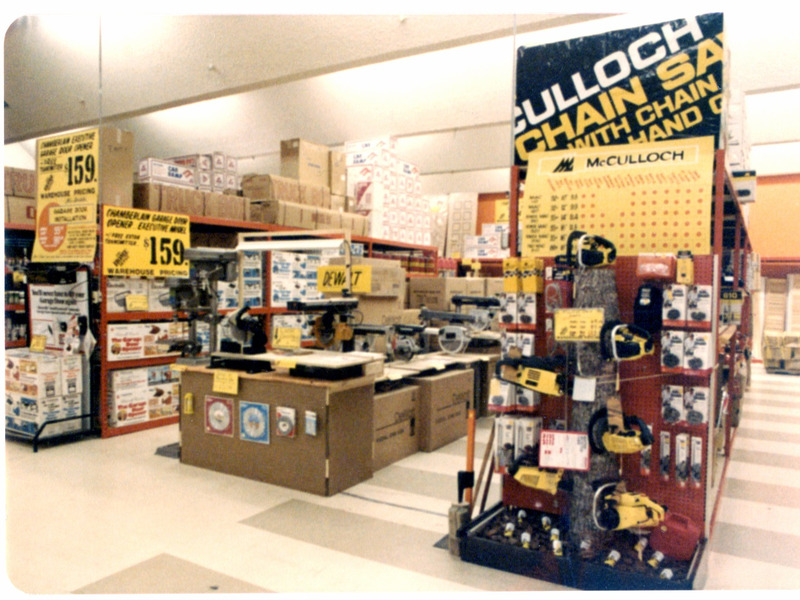 The first two stores were much smaller than modern Home Depot warehouses. 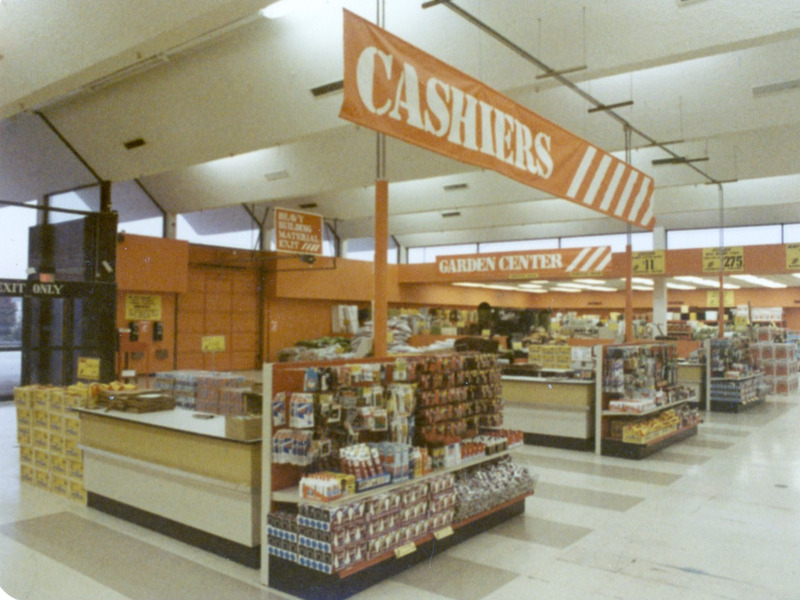 The two initial Home Depots were a bit different from their modern counterparts. 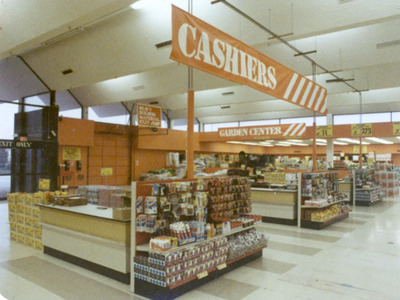 The Home Depot archivist added that these stores had a somewhat “smaller footprint” with shelving that more closely resembled that of a grocery store. But the founders couldn’t even pay people to shop at the stores — literally. To celebrate Home Depot’s launch, Wyatt said that the founders passed out $US700 in singles to their kids and employees for a promotional stunt. The group would hand out a bill to strangers and invite them to “come spend a dollar” at the new store. But it turned out to be a bit of a bust. For the most part, shoppers were perplexed by the new stores. “People really didn’t know what to think of them at first,” Wyatt said. And the scepticism didn’t just come from customers. “They had trouble convincing vendors to sell product to them in the beginning,” Wyatt added. She said that she tracked down longtime employees who spoke about padding out store merchandise with “empty boxes and empty paint cans” to avoid looking under-stocked. But a small gesture convinced one of the founders that things would work out. Courtesy of The Home DepotBernie Marcus and a Home Depot manager. Marcus and Blank proved to be fish-out-of-water in Atlanta due to their northern upbringings and noticeable accents. 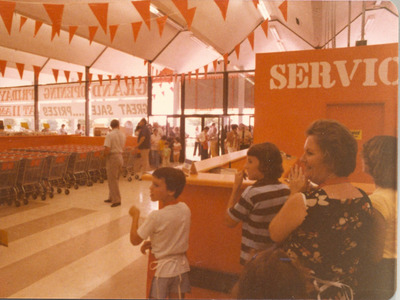 Still, they remained quite hands-on in the stores early on, and things began to turn around relatively quickly. 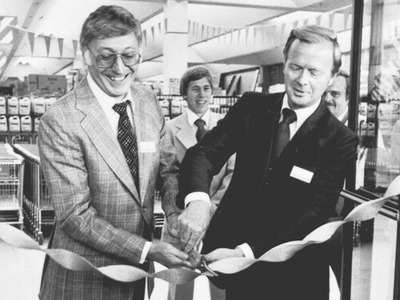 The home improvement retailer’s low prices began drawing in business. 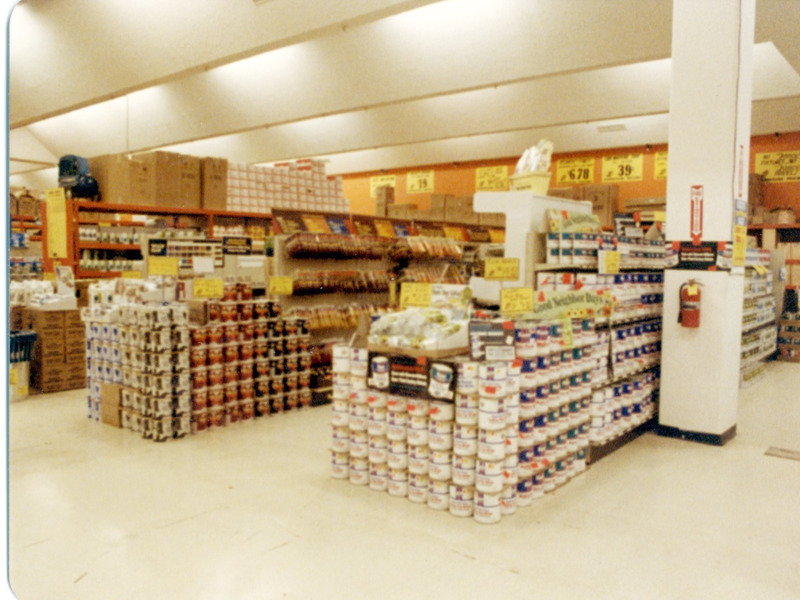 Wyatt said that customers ultimately began seeing the value of the chain’s rock-bottom prices. Business began picking up thanks to word of mouth. 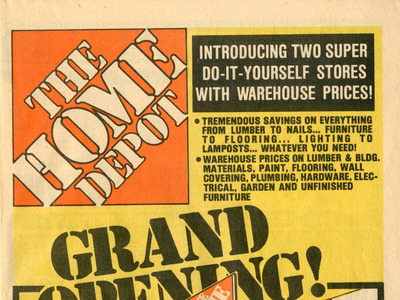 By the end of 1979, Home Depot had three stores, 200 employees, and a total of $US81,700 in sales. To land the job, some early employees had to undergo an unusual test. Early employees of Home Depot were thrust into a “very busy” environment, where some associates were working 80 hours a week to get the business off the ground. 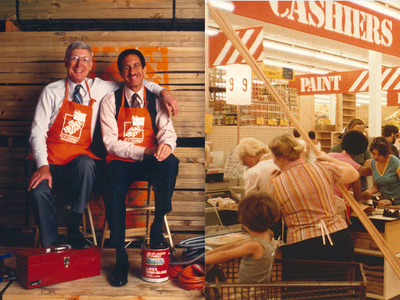 As it grew, Home Depot began swiftly onboarding more employees – mostly young people. Wyatt described the “quick hiring process” of the early stores. According to her interviews with one early employee, however, the rushed hiring process did feature one startling wrinkle: a polygraph test. But Marcus and Blank strived to avoid creating the ‘culture of fear’ that had so permeated Handy Dan. Courtesy of The Home DepotArthur Blank. And the company adopted a drive to help customers early on. Home Depot’s founders led by example when it came to customer service, according to Wyatt. She said that Marcus would watch for shoppers who left the store empty-handed. The founders and early employees sought to keep shoppers happy, despite limited means. 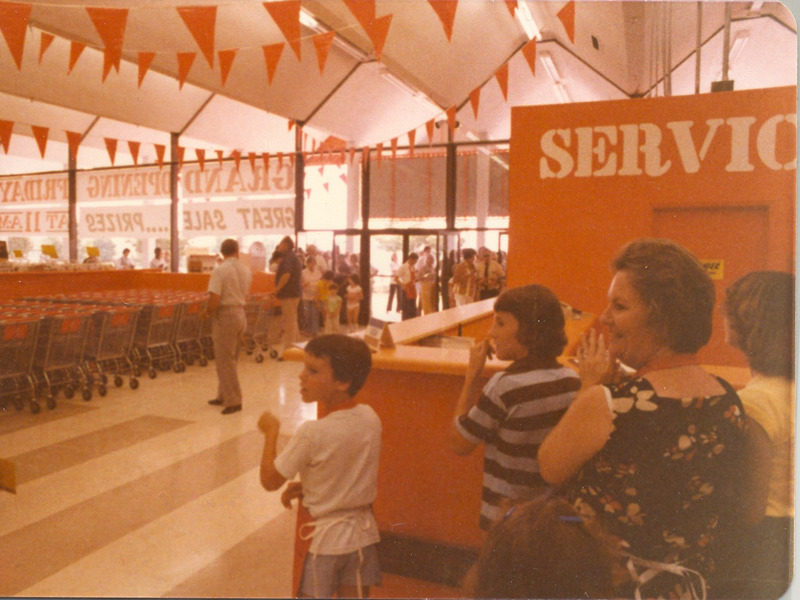 An early store manager also observed Marcus’ commitment to fulfilling shoppers’ needs, according to Wyatt. One real-life ‘urban legend’ even saw a manager accepting an outlandish return. And the founders’ ideals rubbed off on employees. Wyatt told Business Insider about tracking down a company “urban legend” about one of the early warehouses that turned out to be a true story. The Home Depot was located in a building that had once housed a tire store. One day, a customer of the building’s previous tenant came in to return some old tires. “The manager on hand did accept the tires back, even though we never sold tires in our stores,” she said. The manager apparently hung the old tires by the cash stand, as a monument to the store’s devotion to customer service.